commentary on the changing nature of power. inspire and provoke debate. Each limited-edition piece is handmade by Little Halstock in their Somerset workshops. 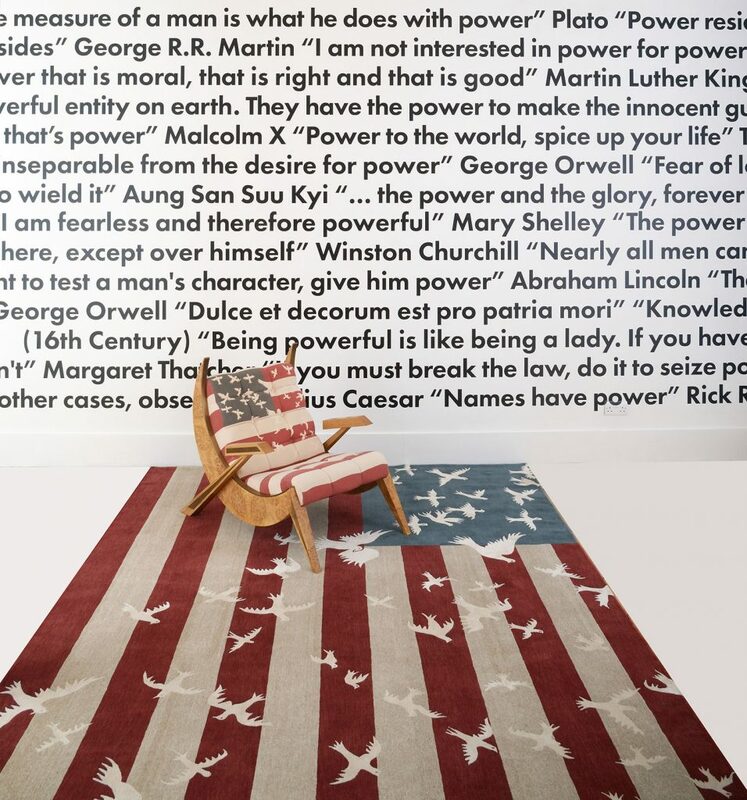 The initial design, The Seat of Power Politics, incorporates the Doves and Stripes rug Luke Irwin designed in 2008 and which was given to President Obama on the occasion of his inauguration as a gift from the Irish nation. Here, a mere ten years on, the same design takes on another incarnation as viewed through the lens of the Trump presidency. 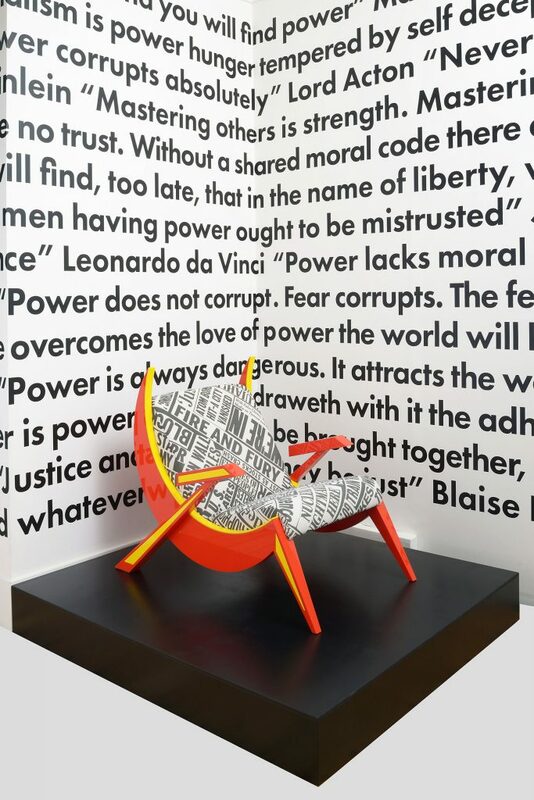 This first piece sets up a dialogue about political power and it is the beginning of a series of chairs examining different areas of power. and the broader subjects of money, religion and gender. 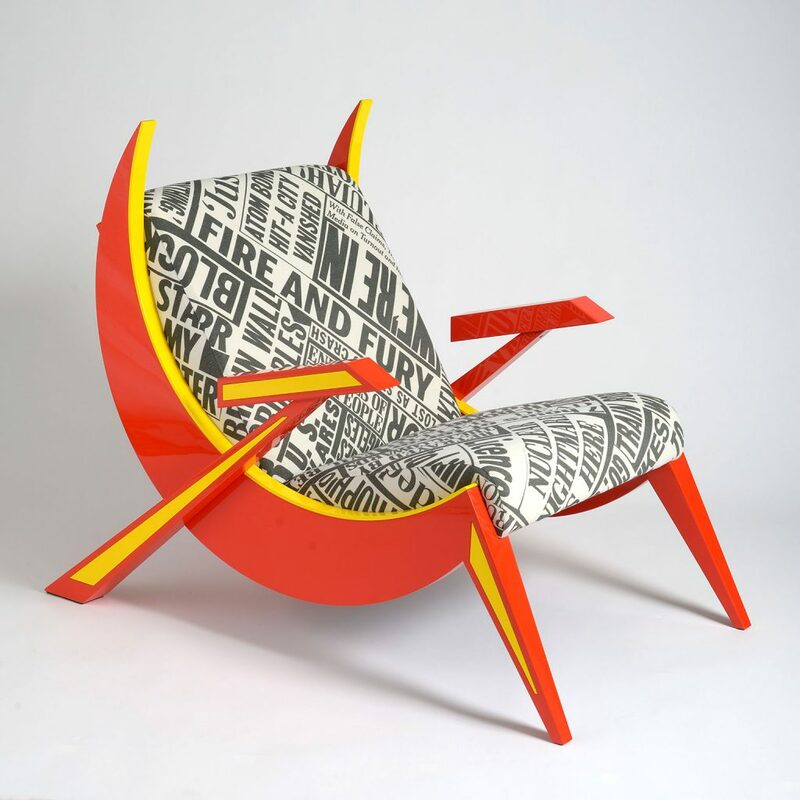 This entry was posted in DESIGN and tagged Little Halstock, Luke Irwin. Bookmark the permalink. 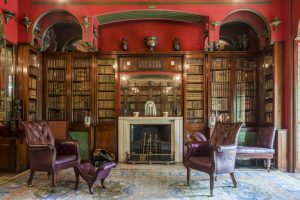 Sir John Soane’s Museum & Luke Irwin announce the launch of By Design, a new public talk series.